Dr Prem has launched several initiatives across the industries and across the globe. He has published several guide books to provide authentic information on various topics. On the healthcare front Dr Prem has initiated several preventive healthcare initiatives in association with several government authorities, sponsors, partners and volunteers. He has pioneered many innovative concepts for world healthcare Industry, such initiatives are provided in support with leading healthcare and pharma organizations. Many of his initiatives are directly endorsed by government and health authorities across the globe. On the information front he has developed several niche websites and guidebooks which provides valuable information. Few endowed souls hate the idea of limiting their sphere of influence to a specified geographical area or a field and Dr Prem Jagyasi is one among them. Dr Prem Jagyasi is proactively pursuing myriad of fields included but not limited to writing, consulting, event management and keynote speaking. An avid traveller, Dr Prem has been to more than thirty-five countries and has extended his consultation services to not less than 100 health care organizations including government institutions and conglomerates. As a testimony to his entrepreneurial skills, Dr Prem Jagyasi also happens to be the founder of a slew of initiatives and businesses at national as well as international level. As of today, he is extending his consulting services independently to many governments, big healthcare organizations in addition to investors. Dr Prem also works as a promoter to Insta Media and his valuable contribution has enabled the website to scale new heights. Dr Prem Network, his signature offering, is basically a group of 50 different websites encompassing a variety of subjects and genres including, but not limited to, technology, entertainment, wellness, design, green, beauty, health, home, luxury, lifestyle and fashion. The readers of Dr Prem Network are not restricted to one place, state or country as millions of people all across the globe attain important information from Dr Prem Network each day. Easy to navigate and impeccably designed, all Insta Media websites cater to the ever dynamic preferences and aspirations of the readers and comply with the latest trends. With his extensive experience in various fields, he is enlightening us with his diligently written books and guides encompassing a variety of subjects relevant globally. To his credit, Dr Prem has in excess of 30 life changing electronic guides that are making a positive difference in the lives of their extensive reader base scattered in all parts of the globe. Dr Prem is a personal branding expert with global recognition and repute. In his illustrious career as a personal branding expert, Dr Prem has created distinct, robust and authentic brand identities for numerous individuals and business establishments in India and abroad. Well versed with the obvious as well as obscure nuances of personal branding, Dr Prem is the ideal man to count on for all those with a desire to garner the right kind of exposure, credibility, opportunities and attention. On the healthcare front, Dr Prem has initiated several preventive healthcare initiatives in association with several government authorities, sponsors, partners and volunteers. Backed by the leading healthcare and pharma organizations, the entrepreneur is pioneering a slew of innovative concepts and methodologies, thereby facilitating the growth of the global healthcare industry. A man aware of his social obligations, Dr Prem Jagyasi believes in giving what he has received back to the society. Therefore, he is also proactively pursuing few prominent social causes through community initiatives. The list of his community event initiatives includes Ahlan Ramadan, No Tobacco Campaign, Protect Childhood by DFWAC, Summer Health Festival, Wellness Event, and so on. Finally yet importantly, Dr Prem is a proud founder of Dr Prem and Associates, which focuses on providing high-end services to clients spread across the globe. 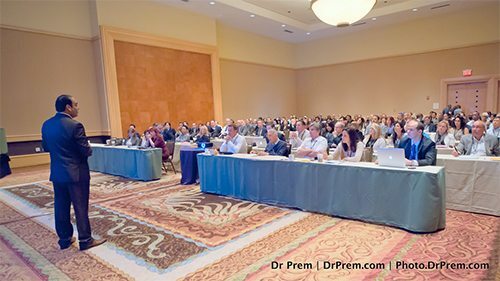 Dr Prem’s team of associates include authors, trainers, experts, researchers, leaders and managers who collectively have years of experience in meeting and going beyond myriad expectations of clients. With disastrous implications on our health, tobacco is a menace to the entire human race. Be it cigarette, cigar, pipe, hookah or smokeless options such as spitting tobacco, dip, chew, and snuff, all tobacco products are equally hazardous. The American Lung Association in its recent findings revealed that cigarettes contain about 600 ingredients and on burning, they generate more than 7,000 chemicals that can have severe implications. Tobacco, according to the World Health Organization, is the leading preventable cause of death taking a toll of millions of lives annually. The current death toll is likely to double by 2020 if current trend continues. WHO further states that the total global smoking prevalence is 29%. By gender, 47.5% of men and 10.3% of women smoke. Moreover, by 2030, 70% of deaths attributable to tobacco will occur in the developing world. Exposure to Environmental Tobacco Smoke (ETS), or “second-hand” smoke, is harmful to both smokers and nonsmokers alike causing approximately 3,000 lung cancer deaths per year in US nonsmokers. Smoking is associated with coronary heart disease, stroke, ulcers, respiratory infections, lung cancer as well as cancer of the larynx, esophagus, bladder, pancreas, stomach, uterine cervix, bronchitis, emphysema, early menopause, and stillborn and premature children are a direct outcome of prolonged tobacco use. No wonder, tobacco is encumbering the already stresses out global healthcare system. Resting the prerogative to spread awareness among masses regarding ill effects of tobacco consumption, Dr Prem supports myriads of no tobacco initiatives through time and funds. Recently, Dr Prem and his No Tobacco Campaign team rolled out nationwide campaign in UAE intended at enhancing the awareness levels regarding tobacco among the local folks. Thousands of people took the pledge to refrain from tobacco consumption in any form and to educate and encourage others to do the same. The team visited several shopping malls, offices, college clusters and labor camps where it interacted with people from diverse backgrounds and acquainted them with the dangers of tobacco consumption. Many of the individuals thus reached swore to give up tobacco, which speaks volumes about the success of the campaign. The campaign succeeded in its endeavor to reach out to all communities within the UAE through a wide-ranging program, which included talks, road shows, street plays, and poster and art competitions programs. Upbeat at the heartening response that this initiative generated, Dr Prem plans to conduct similar campaigns in other locations in the time to come. The menace of diabetes is on the rise and taking a significant toll of precious lives annually. If the report by the World Health Organization is something to go by, the global prevalence of diabetes is about 9% among adults aged 18+ years. In 2012, diabetes accounted for over 1.5 million deaths and 80% of diabetes deaths occurred in low- and middle-income countries. The precarious scenario necessitated Dr Prem and his team to take up a major community health initiative called Know Diabetes. The campaign was launched to tackle the extremely high prevalence of diabetes in the UAE. The event was a runaway success and continued for over three years. The most remarkable thing about this campaign is that UAE Ministry of Health supported it wholeheartedly. Dr Prem and his team successfully educated numerous individuals vulnerable to this dreaded disease and encouraged them to adhere to a healthy diet, regular physical activity and avoiding tobacco to keep it at bay. Apparently, Dr Prem seldom runs out of ideas particularly when it comes to promoting health awareness among masses. Dr Prem’s novel concept, The Family Health Festival is one of the most successful campaigns he ever initiated. The Family Health Festival visited various malls across Dubai, inviting customers who were keen on bagging a retail bargain to also pick up some free advice on how to minimize the risk of developing illness. Visitors to the booths were also able to receive a free health status check-up by undertaking various medical tests administered by qualified nurses. The vital checks offered in this campaign included but not limited to blood pressure readings, body mass index measurements, blood sugar recordings and cholesterol tests. No wonder, visitors flocked the booth and made the initiative a great success. Summer Health Festival, another novel methodology for promoting holistic health, presented five dedicated themes at the leading malls; each for two weeks. The essence of the festival was to engage people in few physical activities and contests ensuring that the participants went back home healthier, fitter after having an exhilarating shopping experience during Dubai Shopping Festival. The list of activities included healthy eating, physical fitness, beautiful you, hygiene, health check-ups. Dr Prem and his team utilized the holy month of Ramadan to educate people about the benefits of embracing a healthy and balanced lifestyle. Ahlan Ramadan, ‘Ahlan’ means ‘Welcome’ in Arabic, is an event that aims to welcome the holy month of Ramadan, this year, with preparation for physical well being along with spiritual purification. ‘Ahlan Ramadan’ endeavored to promote awareness among Muslims to be equipped with health and nutrition facts to enjoy physical well being while striving for spiritual enrichment during this Ramadan.